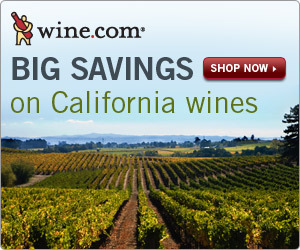 In California, September is California wine month – so Wine.com is featuring huge savings of up to 50% on amazing California wines. California makes enough varieties and styles to match many European wine countries, and 90% of all wine produced in the U.S. comes from California. Coupon codes may not be combined on one order, and expire September 30, 2010.